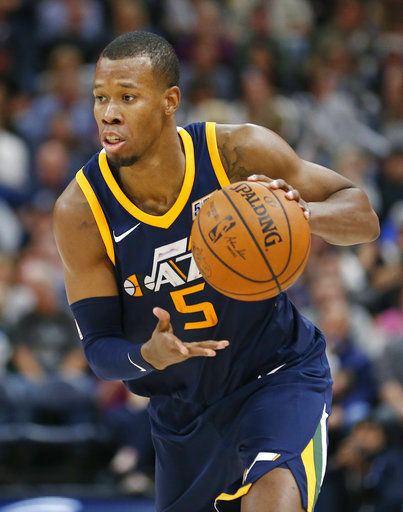 SALT LAKE CITY (AP) — Rodney Hood was determined to find his groove after two fouls in the first quarter earned him an early seat on the bench. He found it in the third quarter when a quick floater jump-started a Utah Jazz comeback. 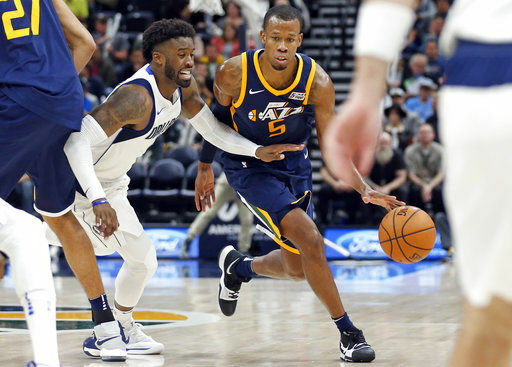 Hood scored 15 of his season-high 25 points in the third quarter to help the Jazz rally to beat the Dallas Mavericks 104-89 on Monday night. “Just aggressiveness,” Hood said. “My teammates were telling me to be more aggressive. The early foul trouble kind of threw me out of rhythm. Being more in attack mode. The Jazz adjusted their defense in the second half and made things much more difficult for one of the best 3-point shooting teams in the league. The Mavericks were just 3 for 10 from behind the arc in the second half. 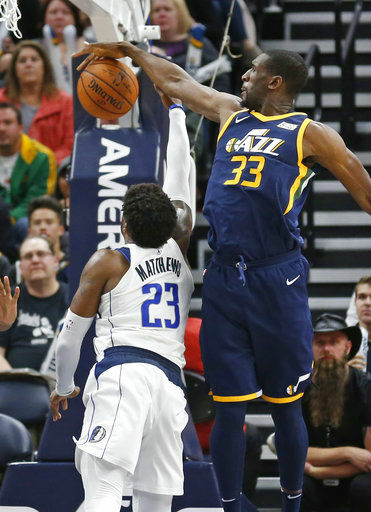 “That’s what they’re really good at, drive-and-kick to generate 3s as good as anybody in the league,” Jazz coach Quin Snyder said. “The second half we did a good job of not over-helping. You’ve got to be able to guard your yard. When we do that and can defensive rebound, it gives us a chance to play offense in the flow of the game. When you’re taking the ball out of the net, it’s a lot harder. Dallas climbed back within five late in the fourth quarter, but an 11-0 run highlighted by a pull-up Hood 3-pointer from the top of the arc put the game away. Hood had just five first-half points. “I’m not into moral victories about one good half played in an NBA game,” Mavs coach Rick Carlisle said. “You’ve got to bring it for the whole game or you get beat. Dirk Nowitzki led the Mavs with a season-high 18 points and J.J. Barea added 17 off the bench, all in the first half. “We just got to figure things out,” Mavs guard Devin Harris said. “We got small things that turn into big things. Just have to play harder, smarter. Mavericks: Rookie Dennis Smith Jr. played 17 minutes despite being listed as questionable with a left knee effusion. He was 1 for 7 for two points. … Dallas began the night ranked No. 3 in the NBA with 12.9 made 3-pointers per game and No. 5 with a 37.8 percentage from behind the arc. … The Jazz scored 33 points off 24 Mavs turnovers. “We’ve played seven and I think we’ve had five that have been one possession games,” Carlisle said before the game. “This league is about tight games and thin margins for error. We’ve just got to do a few things better each game to put ourselves in a better position. Mavericks: Travel to face Blake Griffin and the Los Angeles Clippers on Wednesday. Jazz: Host Damian Lillard and the Portland Trail Blazers on Wednesday.